Nike has launched a new ad campaign, titled “The Dreamers”, aimed at inspiring people to never stop dreaming and working towards making their dreams come true. 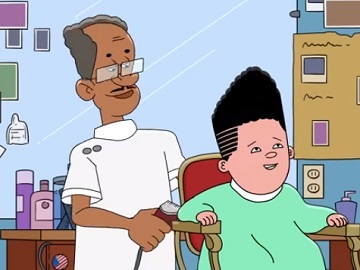 An animated commercial stars a child version of Suns’ standout Devin Booker in a barbershop getting his signature haircut. As the barber is shaving a third line into the side of Booker’s head and starts laughing at it with the others in the shop, the kid says “Man, laugh now, but one day I’ll play in the NBA and be drafted first. OK, 13th.” (Booker was selected 13th overall by the Suns in the 2015 NBA Draft.) “Then I’ll drop 70 for the Suns,” he also says, adding – in response to one man’s remark that he is “crazy,” that he will take the team to its first title, making its haircut a world sensation.” He also goes on to say that “the first black president and his barber are going to want his haircut.” The barber replies “Devin, you’ll have to hit at least 80 for me to want that haircut”. “It’s only crazy until you do it. Just do it.” onscreen lines read at the end of the spot. This isn’t the first time Booker has appeared in a Nike commercial. Last March, he starred with rapper Futuristic in a remake of Michael Jordan and Spike Lee’s famous Nike commercial.